If Europe was the birthplace for modern skiing, then North America is the birthplace of snowboarding as it thrived in the continent. Part of this is a result of the development of numerous ski resorts from the east to the west of this continent. In the eastern side, the Green Mountain ranges of Vermont and the Laurentian Mountains of Quebec is where skiers can find milder hills with gentler slope at lower elevations. Out west, advanced skiers can find some of the steepest terrain and enjoy some of the largest ski resorts in the continent. Probably the region where I spent the most time skiing at, British Columbia is the gateway to the Pacific for Canada and is home to the beautiful city of Vancouver. The city itself has several local ski areas with several chairlifts and can be reached in 30-60 minutes from downtown by public transport. 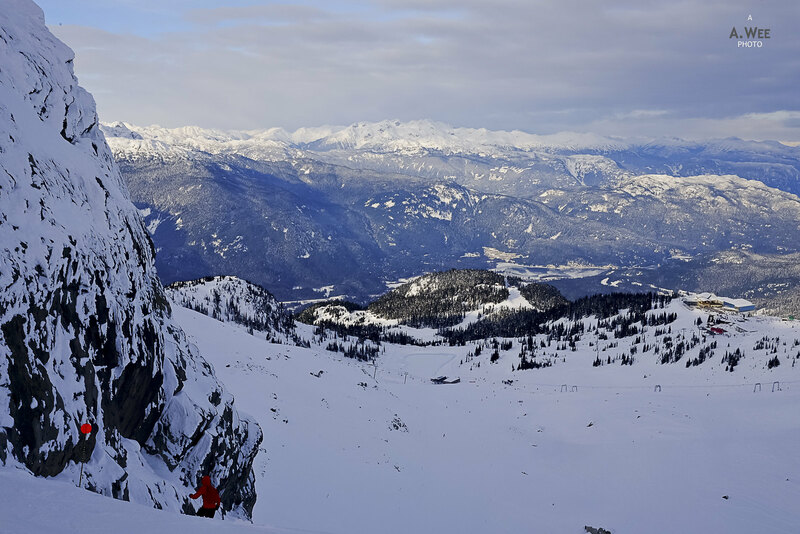 About 2-3 hours away from the Vancouver International Airport, skiers can have fun in Whistler Blackcomb, a ski resort comprised of runs set on 2 mountains that have been consistently voted as one of the best ski resorts in North America. 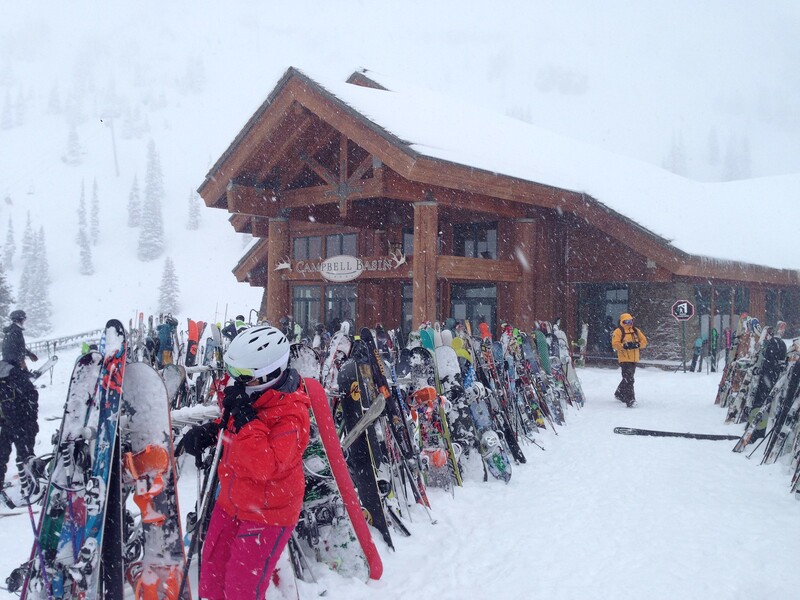 The other large cities in the province like Kamloops and Kelowna in the interior is near to resorts like Sun Peaks and Big White, both with on-mountain accommodations and known to receive plenty of snow in the winter season. 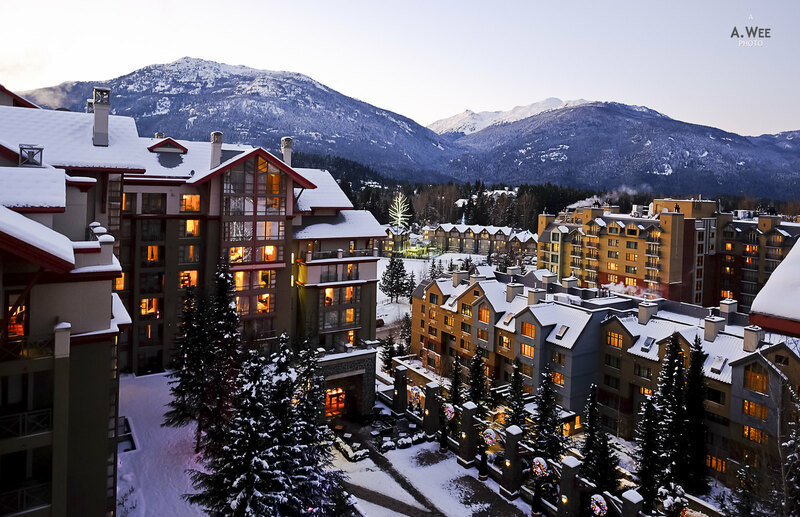 Aside from the more mature resorts with hotel accommodations, there are real ski towns in the province as well like Revelstoke with its ski area that is well regarded for its steeper terrain, or the town of Fernie in the southeast, near the US border. For the adventurous, there are mountains in the northern part with plenty of catskiing and heli-skiing opportunities around Terrace, meaning powder spots should be of interest here as well. South from Vancouver, the states of Washington and Oregon on the west coast of the United States hosts several good ski areas. Notable for powder lovers is Mount Baker which is easily reached for a day trip from Bellingham and Vancouver, BC. 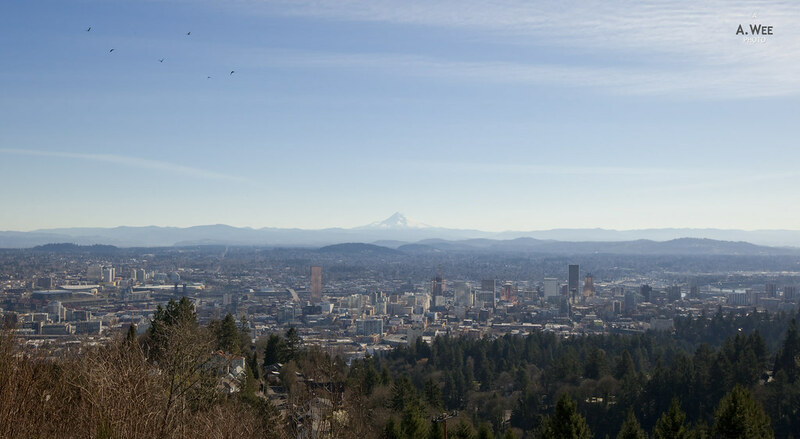 Skiers also can enjoy city life in Seattle and take day trips to the mountain ski areas like Crystal Mountain and Stevens Pass, both of which are a couple of hours drive away from the city. This means one can leave early, ski the mountains and return in time to enjoy the nightlife in Seattle. And even further south Mt Hood Meadows is a short trip from the hipster town of Portland, Oregon while Mt. Bachelor opens past spring time, and is one of the few spots that might be open till late June when the snow is abundant. Other than Whistler, the Canadian Rockies are great for travellers to ski due to the developed tourist infrastructure. The towns of Jasper and Banff are crowded in the summer meaning there are plenty of rooms come winter when the mountains are topped with snow. Jasper is close to the ski resort of Marmot Basin while Mt. Norquay, Lake Louise Ski Resort and Sunshine Village are near the town of Banff. With world-class views and a developed town centre, Banff can provide plenty of fun for the family besides from skiing. One of the best motivations to come here in winter to ski is the majestic mountain views and who can say no to a scene of Lake Louise covered in snow? Skiing in the Canadian Rockies is definitely one for the bucket list and international visitors should probably arrive in Calgary and rent a car there with winter tyres a necessity to drive out to the towns of Banff and Lake Louise. Meanwhile for those looking to access Jasper and Marmot Basin in winter, they need to fly into Edmonton. While these towns are huge for summer visitors, I do expect less crowds during the winter season. Colorado is home to the vast Vail Resorts, which is now coincidentally the largest ski resort operator in North America. That means the sport of skiing and snowboarding is very much alive in this state. From the state capitol in Denver, travellers can drive for about 2 hours to reach the resorts of Vail and Beaver Creek. 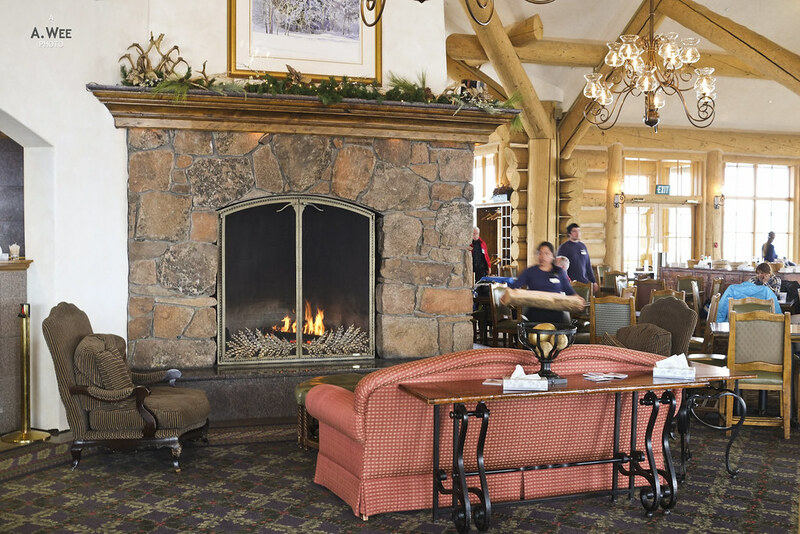 For those who prefer flying, many flights depart from Denver to Eagle County Regional Airport (EGE) where hotels and ski lodges can easily pick you up from. Aside from Vail, Colorado is where travellers can find some historic mining towns that have found fame as a ski destination. These includes the town of Aspen, Breckenridge, Steamboat Springs and Telluride, all of which have some of the best skiing in the state. With historic buildings built during the gold rush era, visiting these ski towns makes for a very nice vacation as skiers can discover a range of boutique hotels and enjoy a walk around the small towns when they wish to take a break from the skiing. The state of Utah has the claim of ‘The Greatest Snow on Earth’, as it shows on the state’s license plate. Winter sports is a big thing in the state and one of the best winter sports e-tailer backcountry.com is based in the state. The largest city and also the state capital, Salt Lake City have played host to the Winter Olympics in 2002. It helps with the international airport close by, skiers can reach a variety of top-notch ski resorts in under an hour from the time they disembark from the plane. 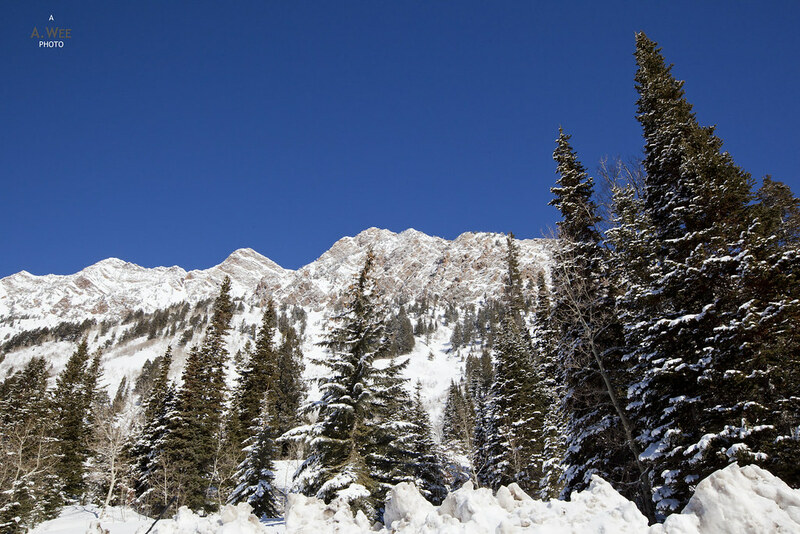 The Cottonwood Canyon where the ski resorts of Alta and Snowbird can be found is one of the snowiest places in North America, and is about half an hours drive from downtown Salt Lake City. This means skiers can be based in the city where lodgings are cheap and plentiful in the winter months, and still be up early on the mountains. 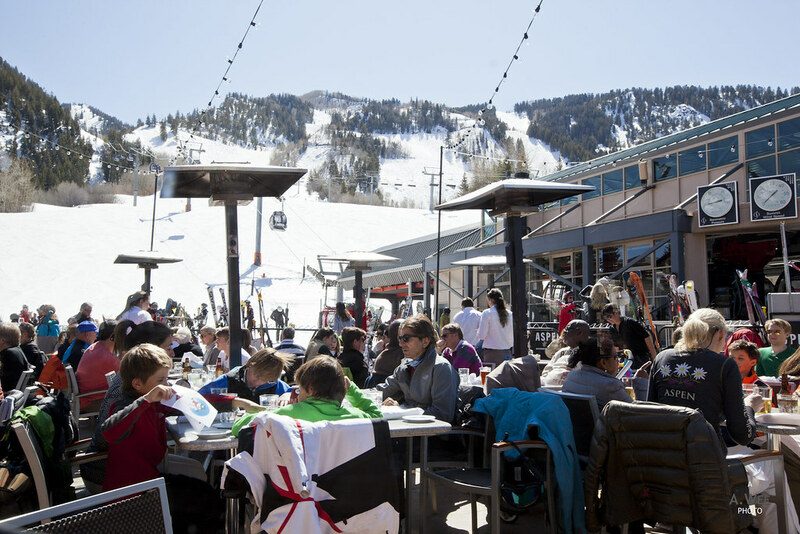 Slightly further away, there is the mega ski resorts of Park City and Canyons which have been consolidated by Vail to be the largest ski area in the United States. Meanwhile the neighbouring Deer Valley keeps its tradition of only allowing skiers. Alta Ski Resort in the Cottonwood is similar in prohibiting snowboarders on their chairlifts, and it just shows the variety of ski resorts one can find in the state of Utah. While many of the options I have mentioned are more or less popular amongst travellers and within easy proximity from a major international airport, these mountain states have less tourist infrastructure. 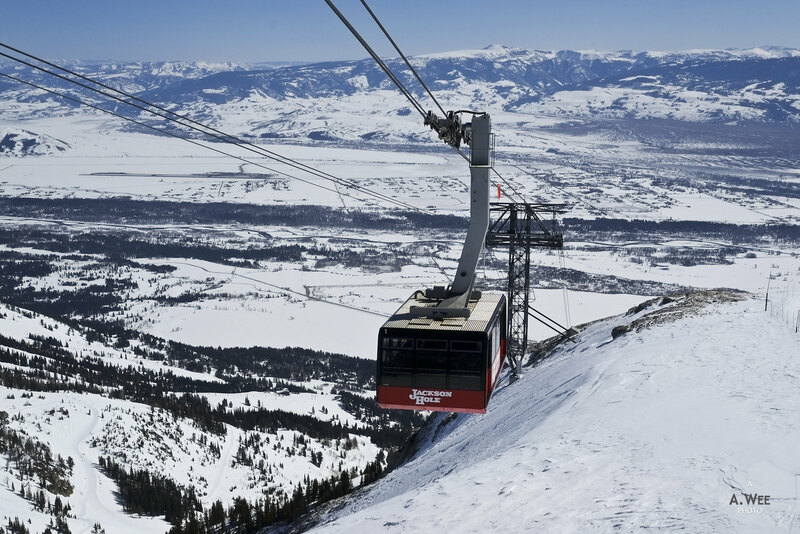 Travellers would probably know the town of Jackson in Wyoming as the base for exploring Yellowstone National Park in the summer months, but it is also the largest town close to the Jackson Hole Ski Resort which has some of the most exciting terrains to offer to skiers. Other ski resorts in the vicinity of Jackson includes the Snow King Resort located right in the edge of the town and the Grand Targhee Resort which is about an hour away. In Montana, skiers can delight themselves in Big Sky Resort, located south of the town of Bozeman and about 45 minutes of driving time. The resort’s relatively remote location should ensure shorter lift queues though this should be treated like the enclosed ski resorts for week-long ski vacations. It is also possible for a road trip to combine visiting both Big Sky and Jackson Hole in one ski trip as they are about 3 and 1/2 hours away from each other. Another recommended ski spot is in Sun Valley, Idaho, located by the town of Ketchum. Gaining fame since the 1930s with one of the world’s first chairlifts being installed here, this small enclave deep in the mountainous valley is well known as a winter retreat for celebrities. 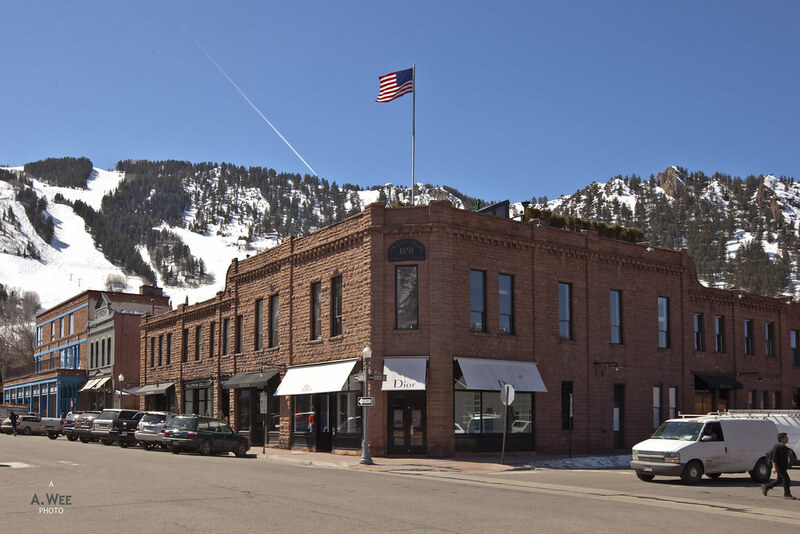 The small town of Ketchum is neat with plenty of dining options and shops, while offering a variety of accommodation options to visitors. Even though Sun Valley is a bit smaller compared to the other options, its ski lodges on the mountains are some of the most well-maintained and one that borders on being luxurious! When travellers talk about California, they most inadvertently go on the topic of great sub-tropical weather with sunny skies and warm winters. However one of the best places to go skiing in North America is probably around Lake Tahoe. There are numerous ski resorts located around this large lake which is located between the border of California and Nevada. That means when staying in some of the ski resorts, skiers could have a game or two at night due to the relaxed gaming laws of Nevada. 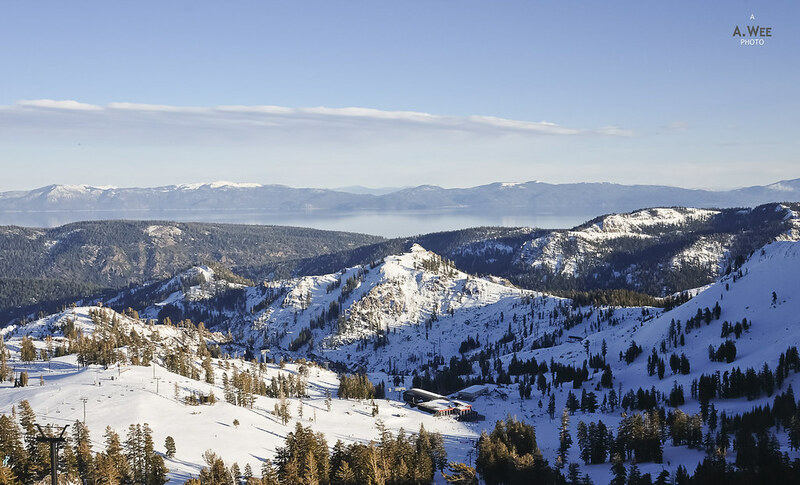 From Squaw Valley which hosted the Winter Olympics in 1960 to the large Heavenly Ski Resort also owned by Vail, there are plenty of choices here and one could probably spend a month touring all the ski resorts around this lake. It also helps that the small towns around the lake have affordable accommodations and the area is fairly accessible from San Francisco and Sacramento. 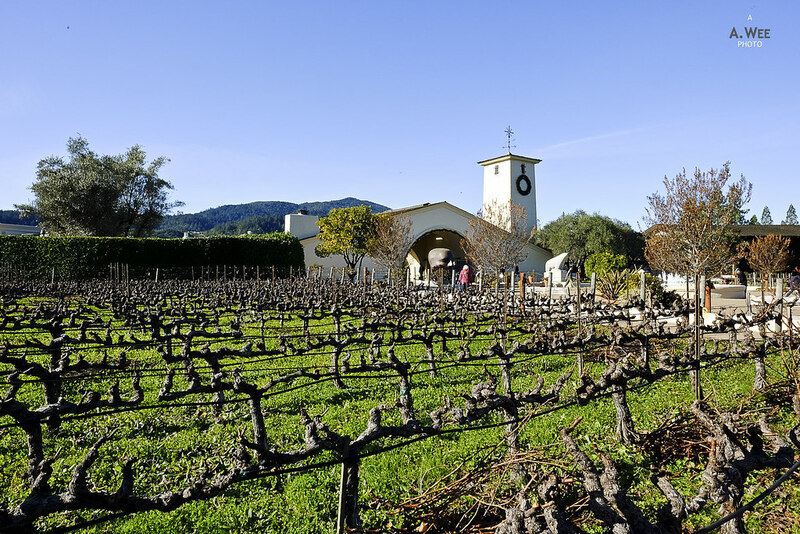 That also means skiers could ski one day and enjoy wines and gourmet food at Napa Valley the next day under the California sun! Another well regarded place to ski in California is Mammoth Mountain which is best accessed from their own airport in the town of Mammoth since they are quite far (about 500 km) from either San Francisco or California. While relatively inaccessible and costly to get to, the ski resort promises plenty of terrain and snow even when the rest of the state is sunny and dry. This far south in the United States, there is surprisingly another good place to ski in the state of New Mexico. Due to the southern tip of the Rockies, there are a number of ski resorts northeast from Albuquerque such as Angel Fire Resort. However the one worth saving up for is probably Taos Ski Valley which has gained fame due to the steep descents provided from the high Kachina Peak. Over on the eastern seaboard, the noteworthy areas to ski would be in the Laurentian Mountains of Quebec with Mont Tremblant being one of the most scenic spots. This ski resort beside the lake is developed by Intrawest, the same company that used to own and develop Whistler Blackcomb. That means it has the same pedestrian friendly walkways and a nice village to shop and eat after skiing. The majority of the ski resorts like are located within 2 hours from Montreal, and skiers can easily board the numerous buses departing from the city. 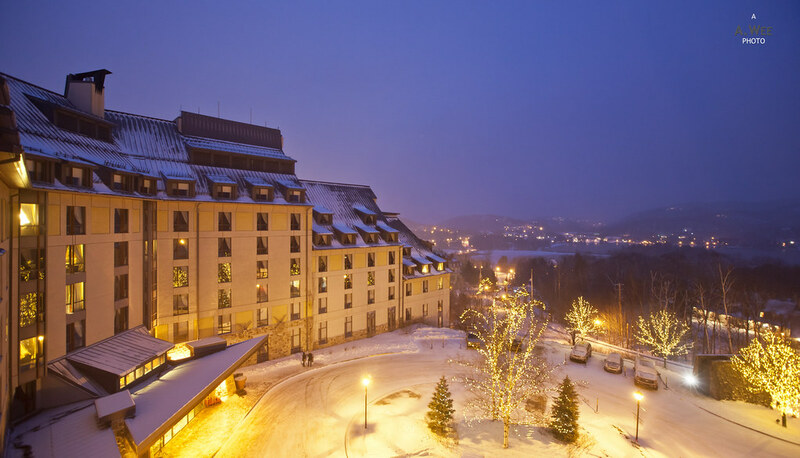 Several other ski resorts like Mont-Sainte-Anne, Stoneham and Le Massif de Charlevoix can be found in close proximity to Quebec City, which is considered one of the most beautiful cities to visit in Canada. With the French-speaking population, the province of Quebec also offers some of the best restaurants in Canada, offering a diverse variety of cuisine and thus creating one of the most unique experiences one could have for a ski vacation. South across the border from Quebec lies the state of Vermont. It is here that one could find one of the best ski resorts in the eastern shore – Stowe. 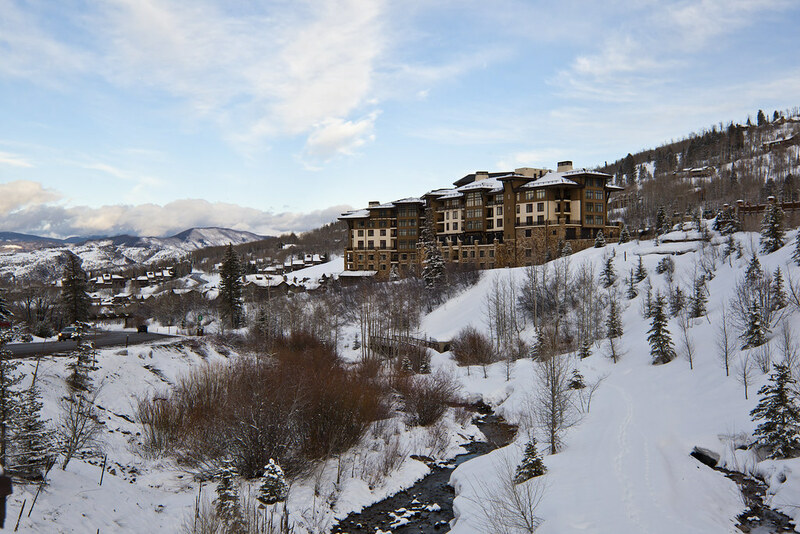 Skiers who purchase the Epic Pass from Vail gets free access to this resort as it is one of the properties owned by this vast company. Other notable ski resorts near Burlington includes Sugarbush and Killington, both of which are also popular with skiers living on the East Coast. Finally there is the ski area of Bretton Woods in New Hampshire which offers more of the same type of skiing. It should be advised that skiers should expect vastly different conditions in the East Coast with the ski resorts located on a lower altitude and the slopes being a lot milder. Thus there are some considerations for the choice of skis, with beginners and intermediates likely to feel more at home here as the slopes allow an easier level of progression in winter sports. As such, I would certainly recommend them for families with children since the slower pace of skiing here would be perfect for them! Do note that this list is not meant to be a complete one showcasing all the places to ski. Rather they act to provide an overview of the places one could ski at and would help in choosing a starting a destination before the ski trip!